Cheryl McCants, president and CEO of Impact Consulting Enterprises, one of 82 ‘most influential’ women in public relations. Having spent more than 25 years telling people, companies and organizations’ stories, I am thrilled to have PR News tell mine. Cheryl McCants, president and CEO of Impact Consulting Enterprises, announced today that PR News has recognized her as one of the most influential women in public relations during an awards ceremony and luncheon held in New York City at the Grand Hyatt hotel on 42nd Street. Cheryl and 81 other female public relations experts were included in PR News’ Annual Top Women in PR list. PR News is one of the world’s foremost trade publications and media brands. For its annual Top Women in PR list, the organization selects the most influential women working in public relations who have made bold advances in managing crises, developing brand messages, protecting and building brand reputations and creating content for digital platforms for their own organizations or for their clients. Cheryl, a strategic communication and media professional with more than 25 years of experience, was one of just 82 national honorees selected from a larger pool of nominees recognized at the event. Fluent in both Spanish and English, Cheryl is a 2016 ‘Top 25 Leading Woman Entrepreneur’ and a 2012 cohort of the National Urban Fellows ‘America’s Leaders of Change.’ She has also been honored by Time Warner and Essence Magazine as a Power Leader in the African-American community. In addition to founding and leading Impact, Cheryl has worked on the corporate side of the business and guided the communication and marketing departments of Fortune 100 companies and national organizations like AT&T, Nike and Girl Scouts of the USA. Cheryl's mission is to make people feel good about where they are and better about where they are going. She is grateful to PR News for the recognition, and counts this award as an achievement for the entire Impact team. 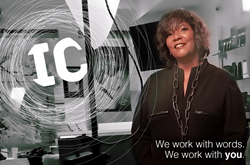 Impact Consulting Enterprises, found on the web at http://www.eimpactconsulting.com, is a woman- and minority-owned strategic communications, social media management, marketing and public relations firm that provides communication platforms to help clients establish brand loyalty and connect with targeted audiences. Impact specializes in reaching and communicating with millennials, women, Latinos, African Americans and Asians. Current/recent clients include the U.S. Department of Transportation, Suven, Bristol-Myers Squibb, Odyssey Media, the Newark Community Economic Development Corporation and many more.